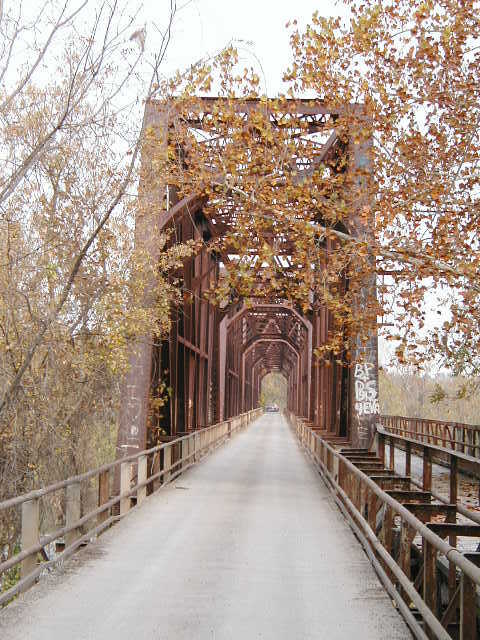 Built in 1910 as a railroad bridge, this structure has been in use for automobile traffic since the late 1960's. The bridge is made up of a total of seven spans; five 190-foot riveted Pratt through spans, and two 100-foot riveted deck girder spans. The whole structure rests on massive, reinforced poured concrete piers designed to take the strongest flood currents. Above, looking north. 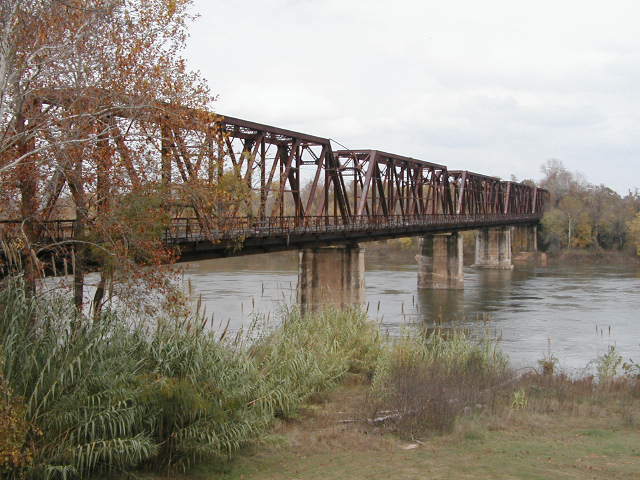 Because of conventions set to fix the location of the Texas-Oklahoma boundary, this bridge is located entirely inside Oklahoma. 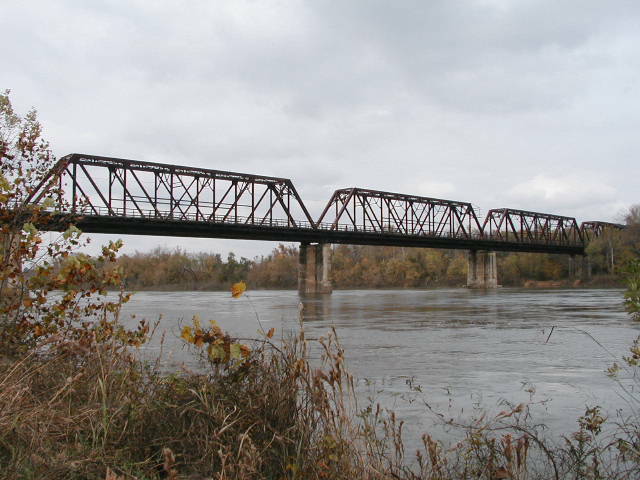 A ten-foot wide wagon deck is cantilevered off of the main span. Above, a view through the bridge on the old railroad deck. Below, a view of the old wagon deck. 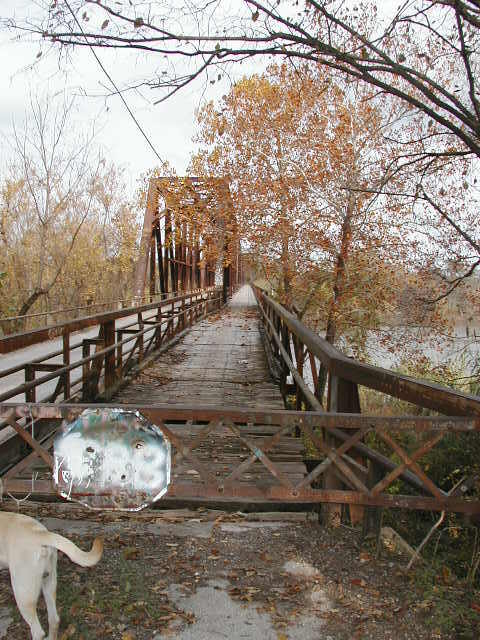 This portion of the bridge was operated as a toll bridge for travelers on foot, horse, or wagon. 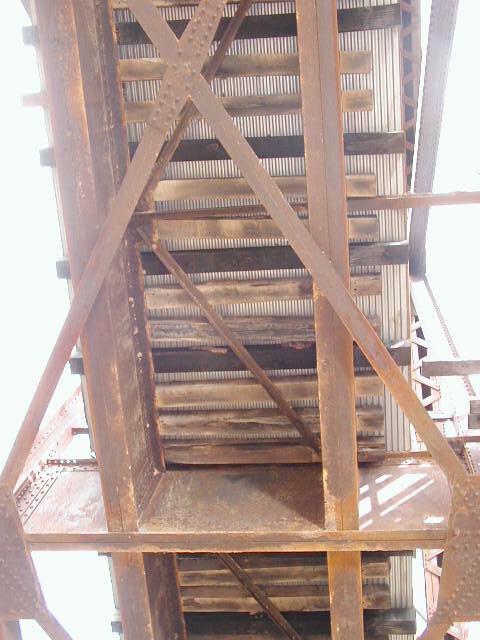 Above, a view from below showing the way the bridge was converted for auto use. Every third railroad tie was replaced by a long tie, and corrugated steel was laid down. Asphalt was then placed over the steel. You can tell very quickly by the size of the members the tremendous loads this bridge was designed to carry. However, because of the deck construction, the bridge only carries an 8-ton limit. 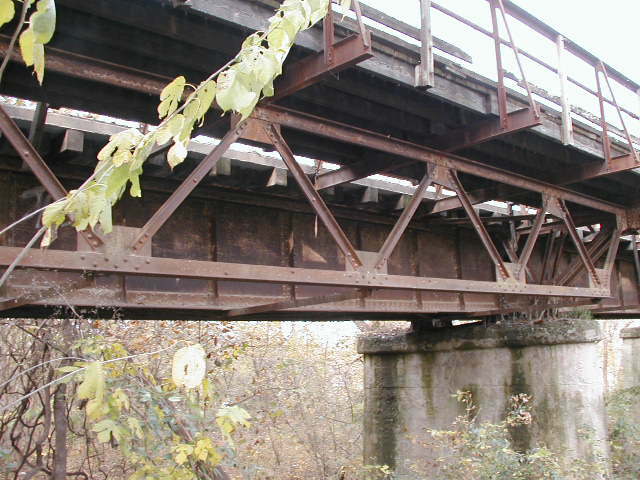 On the steel girder spans, a Warren deck truss is used to support the outer edge of the wagon deck. You can see the cantilever frame through the truss. Above, a view from by the river. Horizontal struts running through the middle three panels help stiffen the vertical compression members. 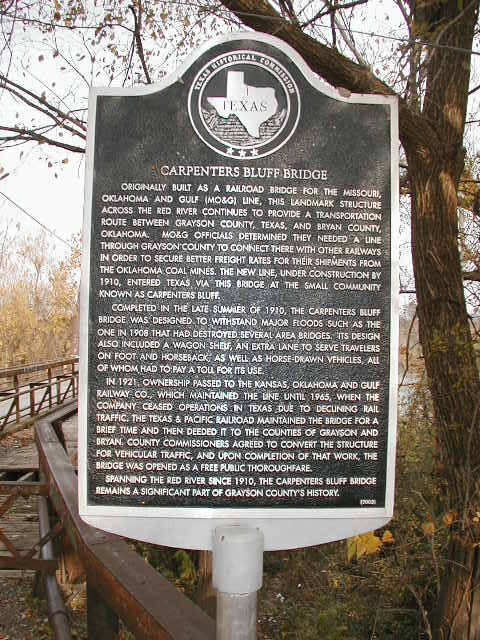 A plaque tells the bridge's story at the Texas end.